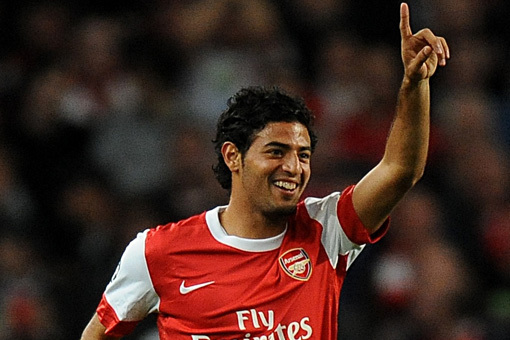 Arsene Wenger has revealed his preference is for Carlos Vela to head to a Premier League club rather than overseas for the remainder of the 2010-2011 season. The Mexican has been linked with a loan move to Bolton Wanderers, but the manager says that a move to the Reebok Stadium is just one of three possible English destinations he could opt to send Vela too. "I would prefer him to stay in England, because it is easier for us to go and watch him, to come to conclusions as it is much easier to compare in the Premier League than if he goes to another country. "We have a choice and that is basically the problem because he has the choice as well and we need him to feel comfortable to go where he would like to go. "At the moment we have requests from France, Spain, England and we have to sort that out. "Because players of his quality on loan on a market that is very restricted money-wise, you have an abundance of clubs who want him. There are about three or four in the Premier League." Vela is included in the squad to face Leeds United in the FA Cup tomorrow.